When you are doing a search for membership plugins and you land on a sales page like this, some people just keep moving on. I’ll admit, I used to be one of those guys too. Until I met my friend Syed Balkhi, I hadn’t known an internet marketer. 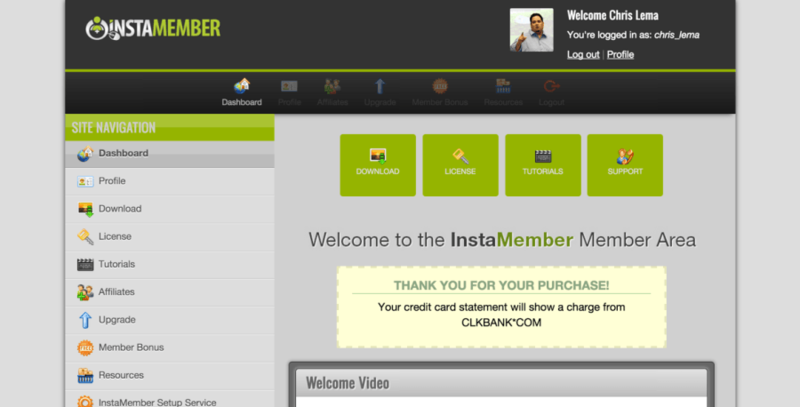 I had seen and purchased ClickBank products and seen the sites disappear in less than 6 months. No word of where they’d gone. But over the last few years I’ve learned that I shouldn’t paint with a broad brush. Syed is incredible and amazing. And he’s not the only person who is trustworthy. Suzanna Theresia is one of them. I learned of her when she rolled out InstaBuilder. When she followed up with InstaMember, I was excited to eventually write a review about it. But I wanted to do it in its proper context. 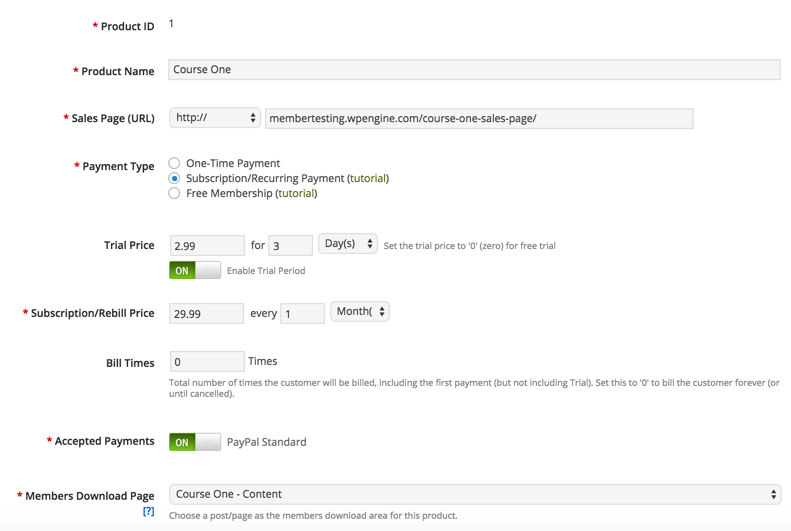 If you don’t know…this is part 7 in my series of looking at membership plugins. And now we’re digging into InstaMember. Before I get into the area I really want to shine some light onto, let’s just walk thru the core plugin for a second. First, you need to buy it from the sales page, and you’ll notice your bill comes from ClickBank. 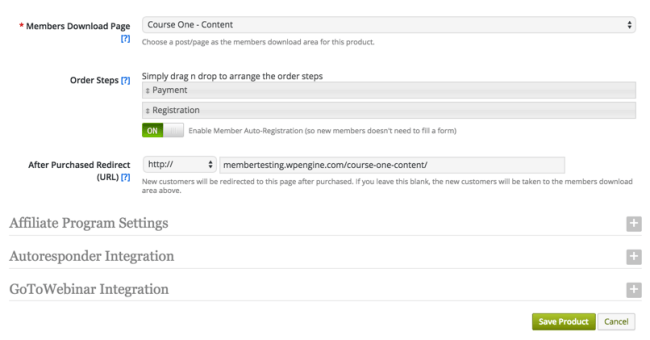 Clicking on the Download box will let you download the WordPress plugin. 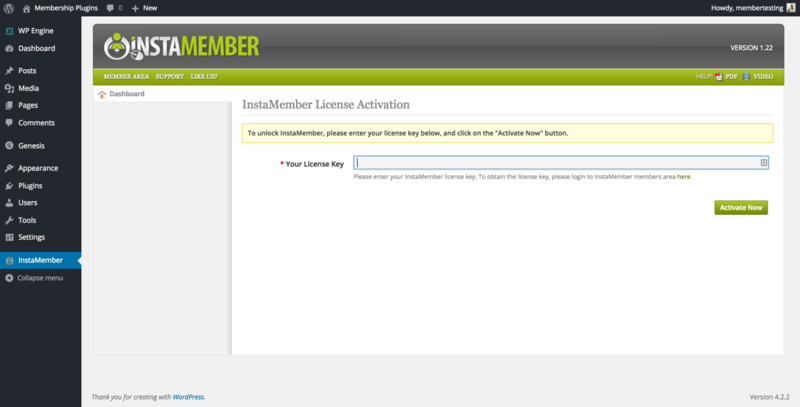 Clicking on the License box will give you the license key you need after activating the plugin. After licensing the product, you’ll get…wait for it (because I love when people do this, as I’ve mentioned before), a welcome / orientation video. This is directly inside your own site and while the initial menu you see there on the left looks big, it’s not all stuff you’ll need right away. The core area is the Products space. Once you step into the Product space, you’ll quickly see that it offers support for several kinds of products. 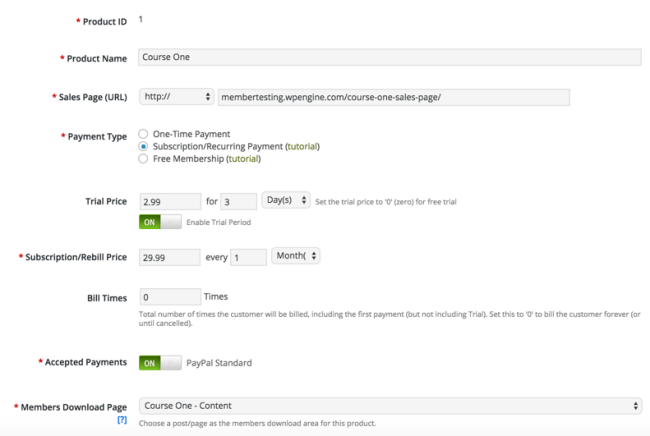 For each product you can determine the sales page, the payment type (one time, recurring, free), whether you want to support a free trial, the price and what kinds of payments. The payment you see there is because I had already walked thru the main settings page. 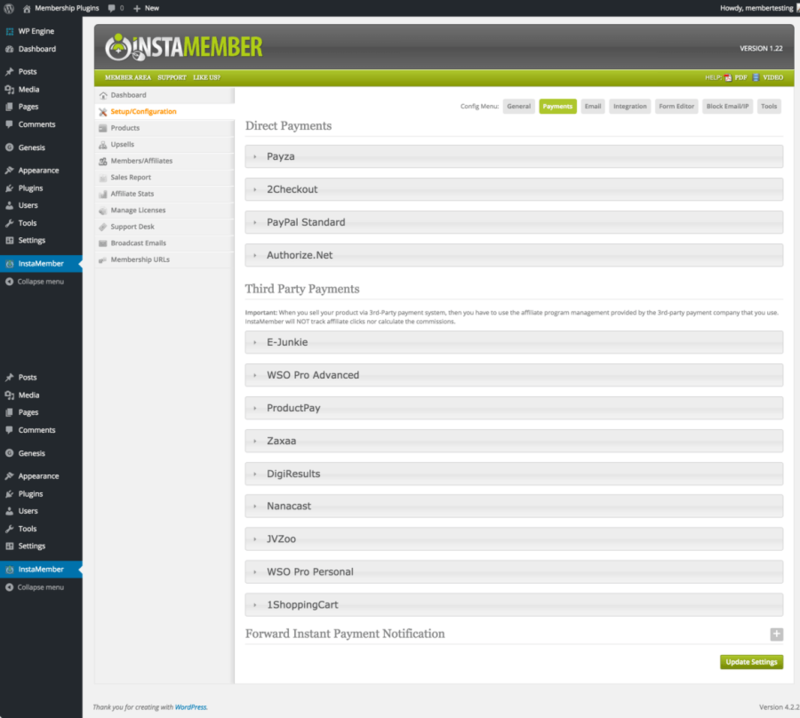 Look at all the payment options you have. The list is massive! Remember Zazxaa because at some point we’ll be looking at them as well! Anyway, let’s finish with the product configuration. For each product, you can configure an affiliate program and its own settings. The Autoresponder integration (above and in this section) are leveraging what’s configured in the main settings as well. You’ll see MailChimp (my favorite from this list) as well as many others. Once the core product is defined, you’ll be able to protect content. Notice that you can protect posts, pages, categories, files and Amazon S3 files. Additionally, notice that you can determine the drip schedule. And you can determine if there’s an expiration for any protected content. 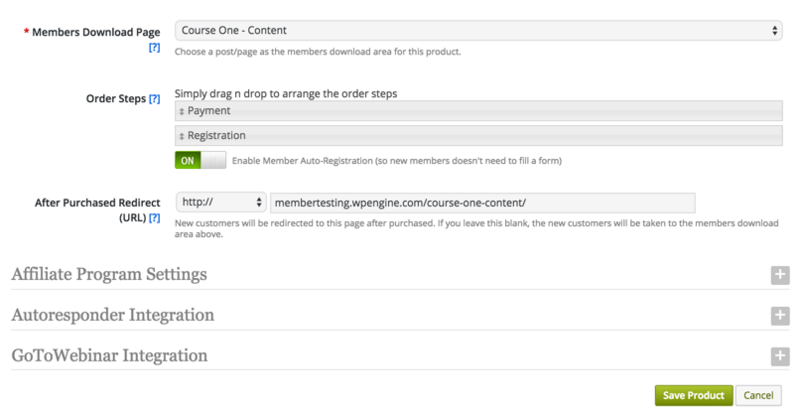 You can also determine which pages to protect from within the editor interface. 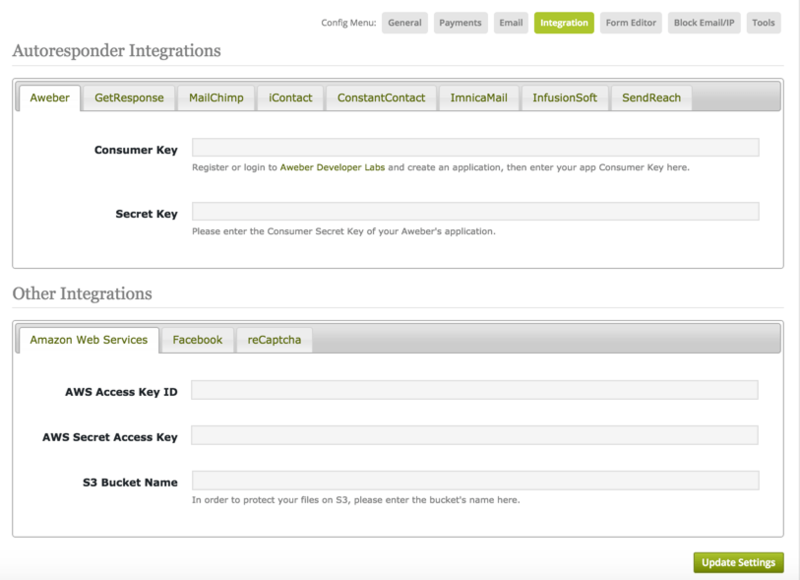 One interesting aspect of InstaMember is that it not only comes with several pre-configured forms, but that you can configure and adjust them. 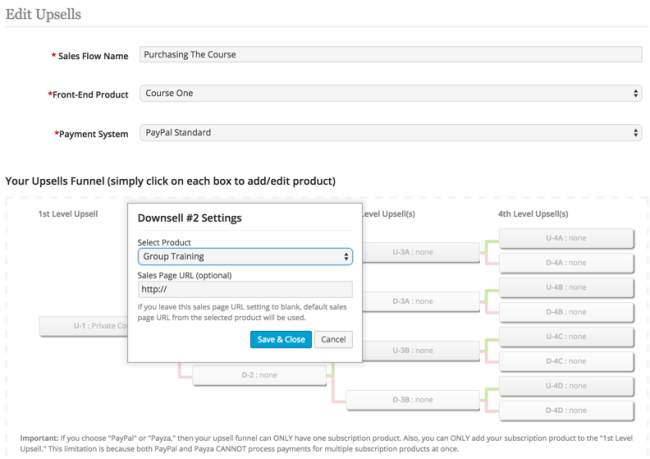 You can even add additional fields to each form – which everyone wants. 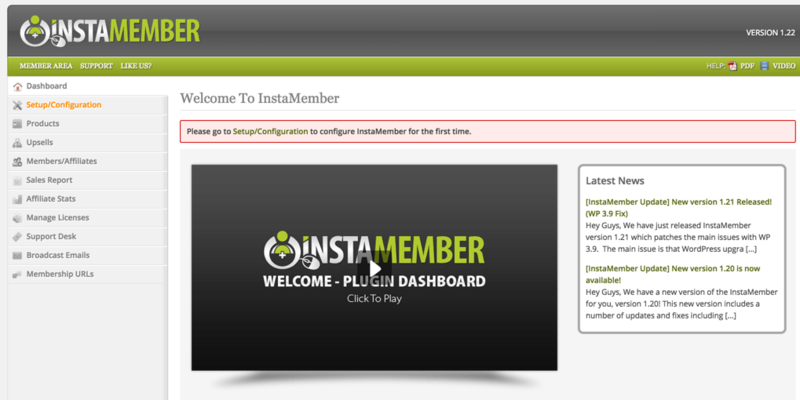 Before we get to the “wow” factor of InstaMember, let me also highlight that like a few of the other membership plugins I’ve reviewed – this one has security protections baked in. All of this is powerful and useful. But let’s get to the good stuff. I started this post talking about internet marketers. Like I said, it wasn’t a group of people I understood well. And initially, when you see the sites that are created – with upsell and downsell offers – you think – ugh, more sales. The way it works is that you are given an offer to purchase a product. Let’s assume you purchase the product. But there may be a chance that the sale won’t even cover the cost of the sale. The point is to get you thru the door. But when you do, they’re really ready to make some money – so they offer you a one-time offer (we talked about this when I reviewed FastMember). If you buy that offer, maybe they make you an even better offer – one that is pure profit. And of course, every time you say no, they have an additional offer that may be a better fit. I get it. Or at least, I used to be like that. Then I had lunch with the ClickBank guy in charge of the internet offers. I got to hear about the folks running the best campaigns online. These are folks that do all sorts of upsells and downsells. You know how much money they make? $6 Million. That’s nice, right? But no, not a year. A Month. $6 Million a month. Time to learn about upsells, am I right? And that’s what InstaMember does best. 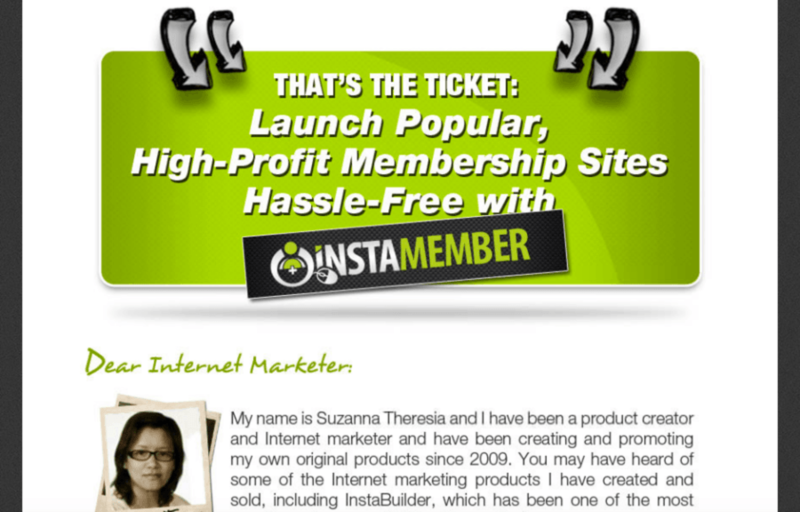 When it comes to upsell & downsell options for membership sites, @Insta_Member leads the pack. Step one – create some new product pages. Step two – create products for those sales pages. What you do is define the “front-end product” which is what starts the whole process. Then you use their little graph to pick what the upsell is and what the downsell (after a rejection of the initial upsell) offer is. 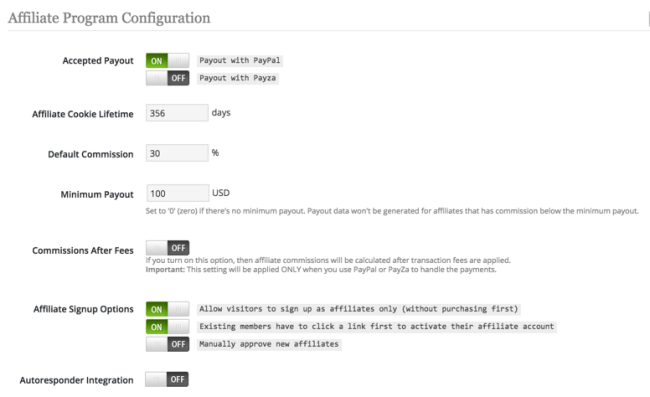 Step four – configure the downsell offer. 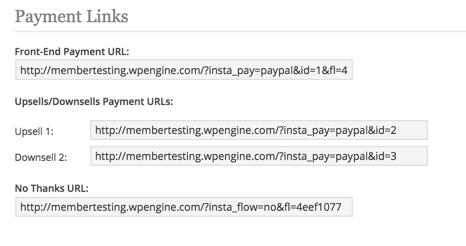 Step five – collect the different links that InstaMember creates. 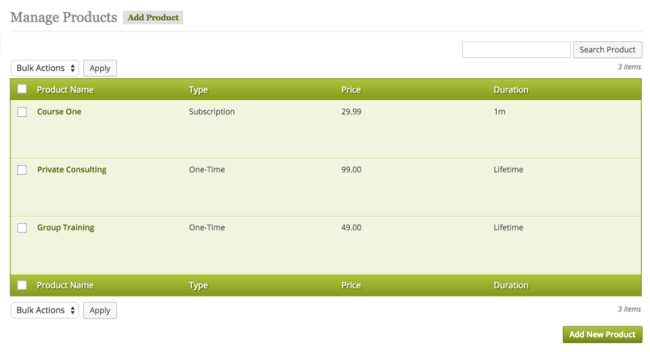 And from there, create the purchase buttons. Using the links you just got. 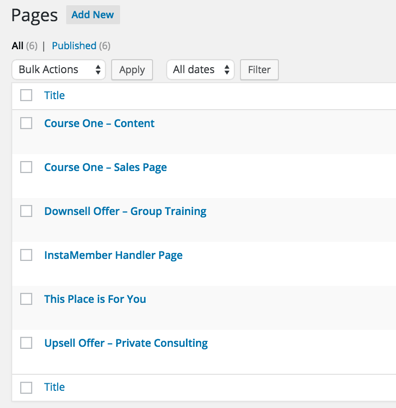 The result is your own sales page with all the upsell and downsell logic prepped. As I’ve written before, my criteria is generic and looks at a small set of factors that are generically helpful. But every person has their own needs. And more than that, every plugin does something unique and valuable. 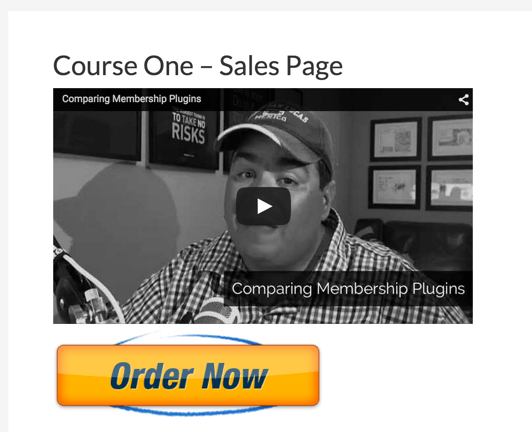 The trick for you is to match your needs to the right plugin. That’s why I try to walk thru not only the features but where they stand out. I say all this so that you take the score below in context. It’s just another way to compare. But it’s not the only way to compare.